Quotations and Tenders can be created quickly and easily, in a fraction of the time, using The Estimate Import Wizard, to import any electronic data, including design drawings. The Quotation Wizard instantly applies estimate values and standard inclusions to all quotes and tenders. 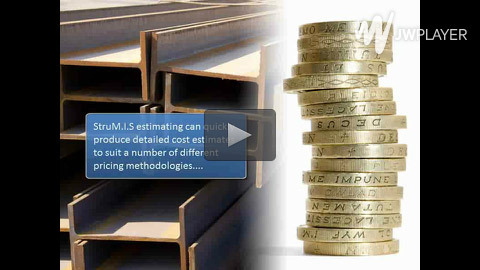 providing accurate estimating of surface finish and painting / galvanising requirements. reducing duplication; increasing accuracy and speeding up the estimating process. - providing the confidence to submit highly competitive quotations whilst protecting acceptable profitability. summarising total values and weights on the Enquiry Quotation Report and Enquiry Final Details tab. "The assemblies feature alone enables us to save considerable time when estimating larger jobs. We have confidently and accurately quoted $1M+ jobs in as little as 2 hours." User definable templates for different types of fabrication i.e. stairs or portal frames, etc. Allows for loading of standard estimate inclusions, e.g. treatments or transport, etc.